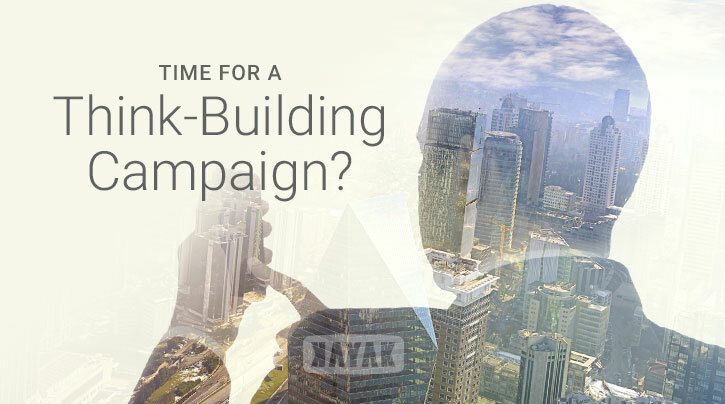 Semantic Search: Is it Time for a Think-Building Campaign? Once upon a time, you could improve your search engine visibility by signing up for dozens (hundreds, thousands…) of different directories (of vastly differing quality), earning a link to your website in the process. At the time, each of these links effectively served as an “up-vote” of sorts to the search engines, making your website appear more authoritative with each entry. Of course, we all know what happened next: SEOs and marketers at every level abused the system, Google Penguin and Panda algorithm updates came along, and these kinds of links were devalued to the point that they were somewhere between useless and dangerous. In light of that, it’s accepted that marketers should back away from local links, directories, and other mentions… right? Not so fast. As it turns out, there are some big misconceptions about the way these types of content work, and if used correctly they can still have some really big value. The biggest reason to reevaluate the power of moderated local directories, and related resources, has to do with Google’s shift towards semantic search. If you aren’t aware of this transition, the premise is simple: instead of simply matching keywords to pages that exist in the search engine’s databases, Google’s engineers are trying to get better about understanding the context of the search, and the intent of the searcher. This sounds technical but is conceptually straightforward. Imagine for a moment that I pick up my iPhone and tell Google’s app that I’ve “driven a nail through my leg.” Matching that exact search phrase isn’t important to me in interpreting results – what matters is that I want “hospital” instead of a “hardware store.” That’s the essence of semantic search. This idea of placing information in context is important, but it only works if we can determine which sources of information are to be trusted and which ones aren’t. That’s where citations and references come into play. In the past, citations have been mainly thought of as being alternative terms for links. And, as we’ve already established, those are invaluable in terms of search visibility today. But, what if it’s not the link we are after? As any good search marketer will know, it wasn’t that long ago that Google’s authorship program fell to earth with an unceremonious thud. This wasn’t because the world’s largest search engine suddenly decided that the ownership of content wasn’t important, but that the program (which relied on micro data to let content creators and publishers claim their work) was creating false positives. In other words, people were surfacing resources that weren't actually authoritative. What Google learned from that experiment is that it can’t necessarily trust marketers and internet authors to identify their own work. What it can do, though, is trust outside resources – particularly if they are highly credible supported by being numerous in nature. In other words, you can claim on your website to have invented the theory of relativity, but Google knows that thousands of other websites, publications, and journals credit Einstein with the breakthrough. We began by noting how futile it is to try to convince search engines that your website is noteworthy simply by generating lots of useless links. That’s still entirely true. However, creating profiles in reputable places (like legitimate local business and industry directories, for example) or getting mentions in the local media could become more powerful than ever. That’s not because of the “juice” you’re going to get from links pointing towards your website, if you even get any links at all. Instead, it’s because you are essentially being credentialed by an outside source with every one of these points of information. They are essentially citations that Google can use to verify you are what you say you are and do what you say you do. There are others, but I'd personally stay clear of automated services and unknowns. As with most SEO and marketing tools, directories and similar resources in and of themselves aren’t harmful; they only get a bad reputation because of the way those who are looking to game the system use them. It's time to stop working at link-building and start working on your next think-building campaign. Recently, I noted the differences between white hat and black hat search engine optimization practitioners (and the reality that most of us are naturally a little bit grey). The use of local business citations is a good example: honest marketers employ them because they want to be visible to customers, whereas black hat marketers try to get easy links by filling out profiles. One is honest and helpful, while the other is gimmicky. For me, it’s a matter of intent, ethics and transparency. Taking advantage of citations and directories can still help you improve your findability – on search engines and elsewhere in the real world – but only if you’re focused on providing valuable information for potential customers, instead of trying to beat those ever-changing algorithms. In many ways semantic search takes us back to the golden days of the Web when in terms of working online anything was possible as long as you had passion, belief in yourself, and energy to work at it. MANY THANKS for the knowledge gained from reading and interacting with some of the top Semantic Search individuals out there... David Amerland, Ammon Johns, Sergio Redondo as well as many more engaged and helpful individuals in the search space. Don't forget to get our free Local SEO checklist before you head off, and learn what you can do on your own to improve your local search strength without hiring anyone.